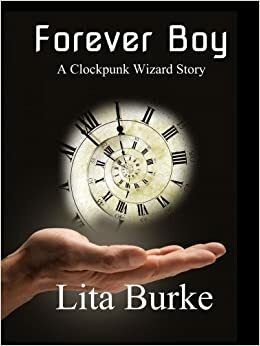 Lita Burke has reduced the price of all her Clockpunk Wizard stories to just a measly buck each. Methinks she lost her mind. Get the books now before Lita regains her senses. 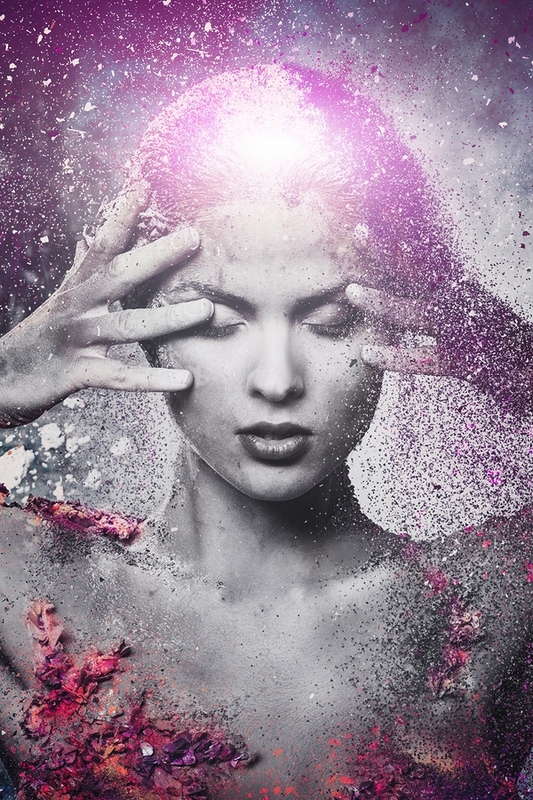 She is pleased to announce that the first draft of the next Clockpunk Wizard story, called Glitter Ponies, is complete. It’s done. “Done” is a delicious word. To celebrate, Lita opened a bottle of champagne and shared the bubbly joy with Mister Lita. But that was not enough. Gentle Reader, you have been so patient, so why not join the celebration? 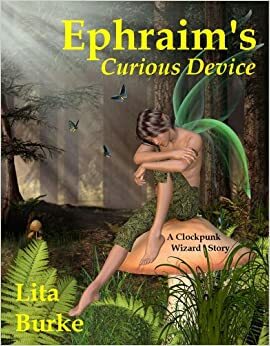 Lita has reduced Ephraim’s Curious Device and Old Bony Blue Eyes to 99¢ to tantalize your reading enjoyment. It is now easier than ever to visit the plate-shaped ocean world filled with wizardry, fantasy creatures, and Leonardo Da Vinci technology. But these book prices are for only for a short time. 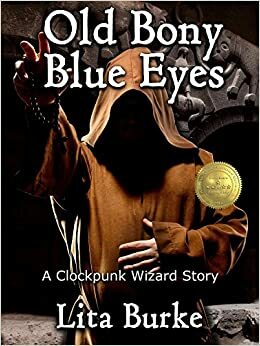 Catch the wizard’s airship today and get all three Clockpunk Wizard tales at this absurd discount while the bubbly distracts Lita. A dog flees his cruel master, befriends a wizard, and discovers his shapeshifting magic. A wizard seeks a legendary magical device to free his kidnapped familiar. A wizard goes on a journey to Death’s castle to win a spell book for a dragon. This entry was posted in Clockpunk Wizard, Ephraim's Curious Device, Forever Boy, Glitter Ponies, Old Bony Blue Eyes and tagged airships, Amazon, book sale, books, Burke, clockpunk, Clockpunk Wizard, curious device, Ebook, entertainment, Ephraim's Curious Device, fantasy, fantasy novel, floating islands, Forever Boy, lita, Lita Burke, literature, Old Bony Blue Eyes, rich fantasy, sentient creatures, steampunk, wizard world, writing on January 26, 2015 by Lita Burke.